It’s competition tiiiiiiime! So, you wanna go see a proper magic show? Well, luckily for you we’ve got ONE PAIR OF TICKETS to give away to the Champions of Magic Show at St David’s Hall in Cardiff on Wednesday 24 September. 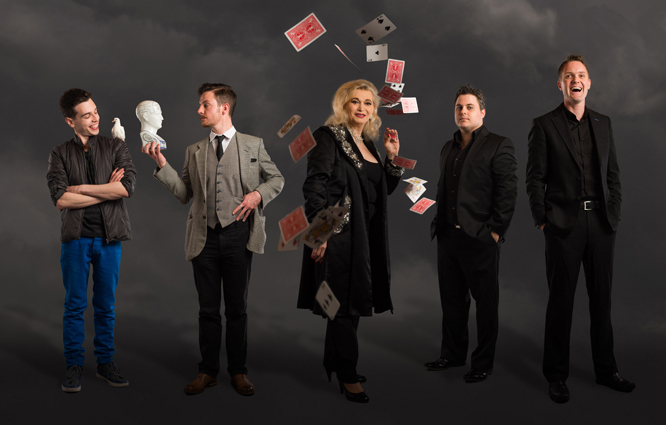 The award winning team of tricksters, swindlers and cheats, Champions of Magic are back for an adventurous autumn tour. The show promises a spectacular night of entertainment and a showcase of five world class magicians, including some of the foremost magic performers nationwide, as seen on ‘Penn & Teller: Fool Us’. With a combination of elegant classics and cutting edge alternative magic, audiences will witness a mastery of card manipulation, death defying stunts, mind boggling sleight of hand and spectacular illusions. just send us an email to wearecardiff@gmail.com with ‘competition’ as the title, and tell us the answer to the following question: in the video above, what is written on the front of the cardboard box?